Welcome home to fantastic Carrollwood! 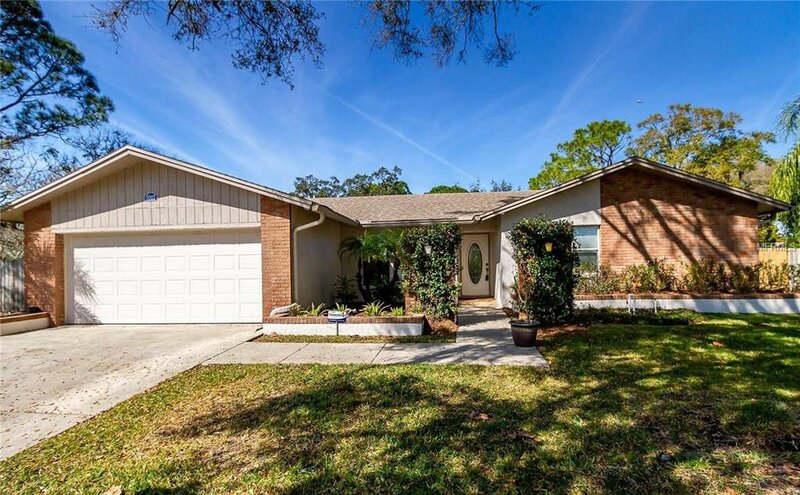 This light and bright 4 bedroom, 2 bath, POOL home is situated on a cul-de-sac OVERSIZED lot with privacy hedge in backyard. This home has everything that you need! Formal living and dining room, 2 car garage, spacious kitchen with pantry, ample counter space, stainless steel appliances and pendant lighting. The kitchen connects to the family room which features a wood burning fireplace. A large master bedroom offers an en ’suite with two separate vanities and fabulous walk in closet. Sliders off of the master bedroom, family, and dining room lead you to your relaxing, enclosed sunroom overlooking the INCREDIBLE outdoor pool area while shielding you from the Florida sun. A spacious backyard is perfect for play and entertaining. Steps to Carrollwood Park with playground and tennis courts and minutes to Carrollwood County Club. Carrollwood Village is perfectly positioned to enjoy a wide variety of shopping, dining, and entertainment with easy access to beaches, Tampa International Airport, downtown Tampa, and more.